Everyone has the power to change their own life. All the answers are within our own mind. If we need any question answered all we need to do is ask ourselves the right question. YGT Fitness will teach that power to people again. Call Jed Kobernusz at (218) 790-8444 with any questions. Your past does not define who you are, you can ask for any answer you are looking for. We get taught this at an early age. “Ask and you shall receive” comes to mind. Belief in one’s self is where ALL dreams begin. Anyone can dream, it’s just having enough guts to do the work and take the necessary risks to get them. 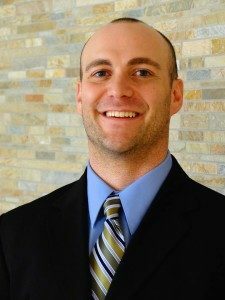 Working in gyms, an inpatient treatment center and a community health and wellness center Jed Kobernusz has the experience needed to help a broad spectrum of clients. YGT Fitness began in Jed’s living room. He makes workouts that are easy, modifiable and most of all fun! The workouts not only challenge you physically but mentally too. YGT Fitness is not only a place to get healthy it is a place to come for a healthy sense of community. Jed uses to be overweight himself. When he started working at age 14 he had to ride his bike to work. He went from around 230 pounds to around 150 pounds that summer. Since then he has been into health and wellness. Now, he hasn't always been the “ideal” picture of health because shortly out of college he jumped up to 195 pounds at around 20-25% body fat, which is not good for any health professional to be preaching good health. He found his stride when he started coaching people and doing the daily WODs (Workout Of the Day) that he recommended to other people. Since then he is steady at around 180-185 pounds with 10-12 percent body fat. Which he feels is HIS “ideal” body type, for being a Dad! 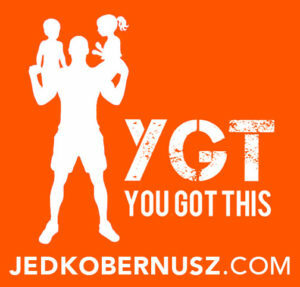 When the idea of YGT Fitness was first brought up Jed didn’t even realize that he was saying You Got This so much. If a person thinks they can’t they are right. If a person thinks they can they are right. What YGT does is help them realize that they have the power to choose what they want to see as right. YGT Fitness does not discriminate anyone on looks, the way a person acts, education level or any other ways a person has felt like their life does not matter. Everyone at YGT Fitness probably has somewhat of a story that someone can relate to when it comes to the mind-body connection. We all understand no one is perfect. While most gyms simply have members and gladly take their money from people, YGT values every single member because of it’s community. That's what helps one another, not just one person. When people pay for personal training they should be getting their FULL amount of value for every dollar spent! It’s just crazy for people to pay so much money and not get the services they are paying for. YGT Fitness holds its standards higher than most gyms because anyone who works with clients has at least a bachelor's degree in Exercise Science. There is nothing more dangerous than someone who is uneducated in the healthcare world and giving out health advice. The reality is that people will actually listen because of the way they look. Now, is Jed saying he is any better than someone with many years experience with now education? No, he is not, but there are many “professionals” out there that don't have enough depth to help anybody but themselves. YGT Fitness is here to stop that from happening. People who want to feel like they matter, are loved and are valued will have that in their life. With the 1:1 services to the group classes YGT is like no other gym out there. Based on the value of the community of the #Kobernation, you will find what you are looking for or we will give you your money back with no questions asked. YGT Fitness helps people believe in THEMSELVES again! Not only physically, but MENTALLY too! If you know someone who could use YGT Fitness in their life, then please share this page with them.